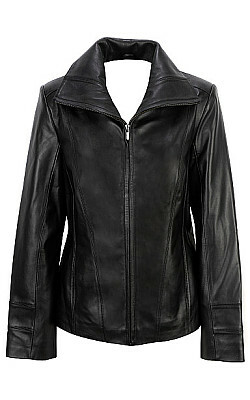 Vintaze Martha jacket is classic example of minimalistic design with elegant look. 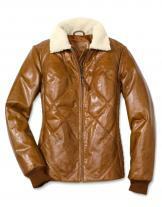 The material used is genuine soft lamb leather, accented by smart seam lines. The wing collar adds to the elegance of the vintage classic look, accented by fully zipped front. Convenience of invisible hand pockets which are seamed with polyester lining. 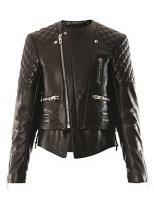 This Vintaze Martha jacket is one which cannot escape attention for sure and a must have in any wardrobe.